A DREAM COME TRUE Being in Europe was just a dream I had when I was so little, it was just an imagination that I would one day be in Europe to see all the great places. Visiting Netherlands, Amsterdam to see all the historical places. Thanks to Hockey Dreams, my dream has been realized. On the 23rd of July 2017 I travelled to the Netherlands, where I experienced the greatest of hockey in the world being played at the highest level. Landing at Schiphol airport, I made a deep breath, a sigh, “Oh yeah I am in the Netherlands, a dream come true.” Driving down to Amstelveen seeing all the great roads and buildings, yes am in Europe far way better than Malawi. A country so clean and people full of smiles. LEARNING EXPERIENCE Straight after my arrival, I went into the first SportWays camp what was on my program: ALLSTARS 3. This is where you meet all the craziest people and hockey maniacs, happy people. Two weeks full of hockey, fun and lessons. My days at the SportWays camps were truly amazing. Each day I got to learn new things about hockey, new tricks and a better way to deliver them to others, so everyone keeps on learning and developing. All the things I’ve learned in these two weeks of intense hockey, I will bring back to Malawi and share it with my fellow coaches. So that together, we can develop hockey and bring it to another level. 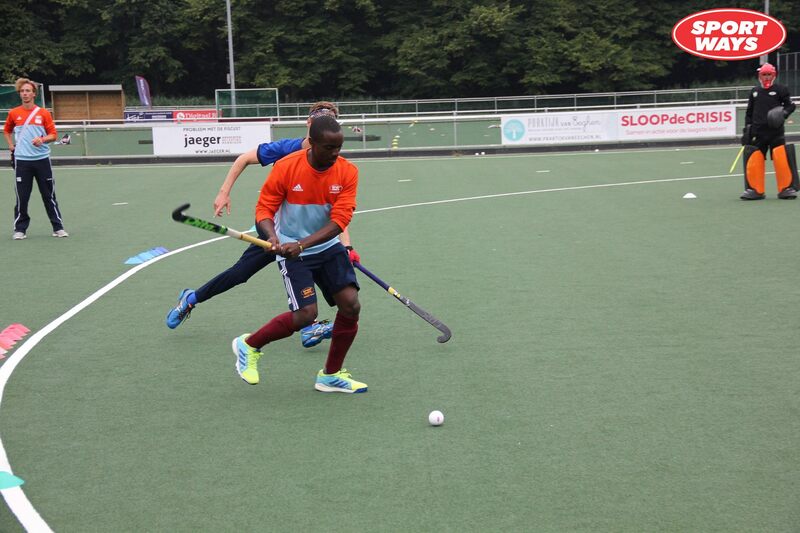 HOCKEY DREAMS NETHERLANDS After my experience with SportWays, I was welcomed into the family of Jelle and Corine. They welcomed come me as their own son, brother and friend. I had great times daily with them and their lovely daughter Safira. The way they welcomed me, I realized hockey is more than just a sport but it is the way of living. Never have I been welcomed in another country the way these people welcomed me. During my stay with them, I got a chance to visit Hockey Dreams Head Quarters in the Netherlands. Here they also welcomed me as family also and showed me the vision behind Hockey Dreams and how they work in the Netherlands. Hockey Dreams is just one big family of people who are enthusiastic to make life of other people better. 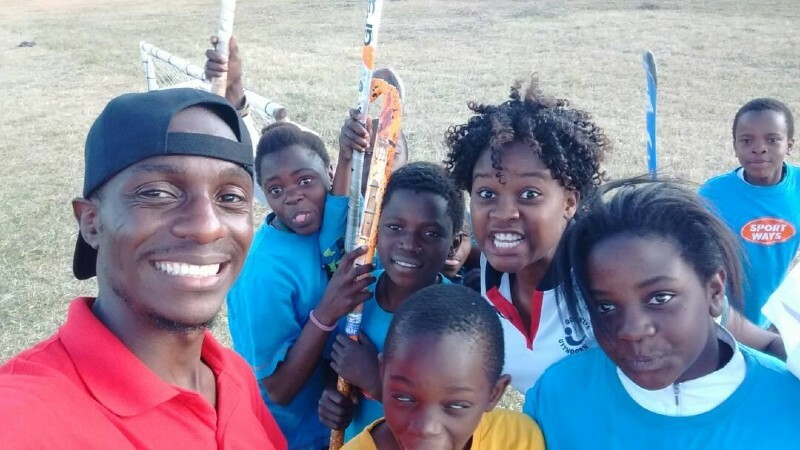 I say Zikomo (thank you) to all those working with the foundation for making my life and other coaches in Africa better by giving me a future through sports (hockey). Because of Hockey Dreams I also had a chance to talk to youth from around Europe who are also working to develop hockey in their countries, thanks to the EHF. And I also got the chance to watch the Euro Hockey championship. LIFE IN AMSTERDAM My stay in the Netherlands was encompassed by visiting the Amsterdam. The first site you see in Amsterdam are the many cyclists biking to different places, home, work, the market, hockey, some even to school. I think there are more cycles in Amsterdam than the people living there. It was also great to see all the historical houses from the 1700 and the canals around the city. Going to the Adam tower with Malou, I got to see the whole city with a nice view. I also visited the palace where the king of Netherlands works and also some historical churches in Amsterdam. I got to visit Rijks museum where I got to see the famous painting of the Night’s Watch, and I also saw many other historical things that the museum has. I also visited the Artis zoo where there are animals from all around the world. And of course, there is the typical Dutch food. I got to taste the Herring fish, which was so amazing! There are also many different restaurants from many countries around the world. After all, it was a great month in the Netherlands. A month full of fun, entertainment and education. Great, the narration has vividly taken me there as well, I suppose it was great time for you buddy, am so glad you represented my country there. Next on the list is me. Hockey is more than just a sport but away to live as you have already put it. Thanks to Hockey Dreams, Hockey Styles magazines and everyone who put up the effort to bring in the true living through hockey. Proud of you my boy Ulemu.